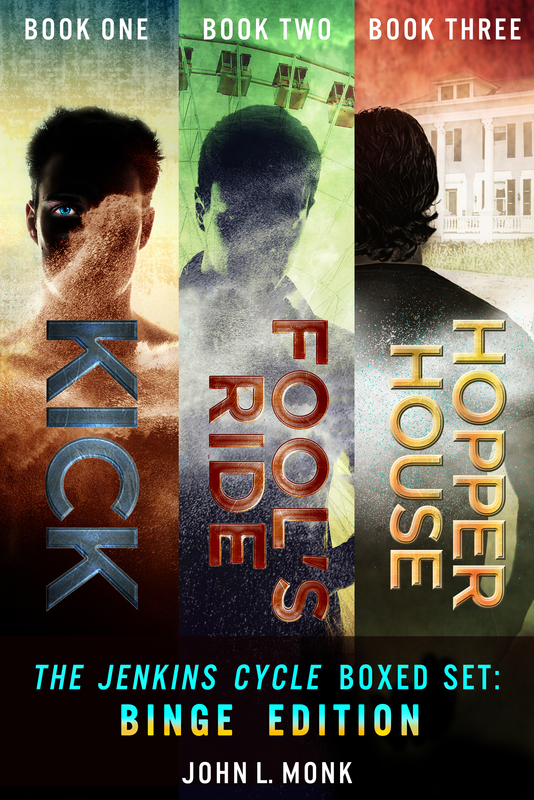 “The Jenkins Cycle” is a series of dark paranormal thrillers. Each book is also available individually. If you enjoy the body-hopping concepts presented in novels like “Tale Of The Body Thief,” or “Every Day,” then this is the series for you. They say suicides are damned for eternity. But if coming back to life in the bodies of violent criminals is Hell, then Dan Jenkins will take it. And he does, every time a portal arrives to whisk him from his ghostly exile in limbo. Dan rides the living like a supernatural jockey, pushing out their consciousness and taking over. They’re bad guys, right? Killers and brutes of every sort, which makes it okay. He doesn’t know where their minds go while he’s in charge, and for the most part doesn’t care. For three weeks at a time, it’s a chance to relax and watch movies, read fantasy novels, and have random conversations with perfect strangers. Normally, before the villain returns to kick him out, Dan dishes out a final serving of justice and leaves the world a safer place. It’s one of the rules if he wants more rides, and he’s happy to oblige. For a part-time dead guy, it’s a pretty good gig … until someone changes the rules. Dan meets a mysterious woman named Rose who says he’s not alone. Like him, she’s dead and possesses the bodies of awful people. Unlike him, she doesn’t care what they’ve done, and she hides a secret shame. Through Rose, Dan learns there are others like them, living in the shadows, hopping blissfully from ride to ride chasing excitement and chemical highs. For them, morality doesn’t matter, virtue is negotiable, and consequence has a three week expiration date.